Rumour: Nintendo working on three new franchises for the Wii U? A rumour sprung up that Nintendo have at least three brand-new franchises in development for the Wii U, by a number of different studios. As great as Nintendo’s tried-and-true properties like Mario, The Legend of Zelda, and Kirby are, they do receive quite a bit of flack for constantly “rehashing” their games from year to year. Whether you believe that or not, it’s always nice to see a company trying new things, and the Wii U seems to be all about just that. If this rumour is true, expect to hear more about these mysterious franchises at E3. do they same thing. The way they get over this is by counting their stacks of money that piles up. It better be something different, something more realistic like a shoother or something, at least a rated m game. No surprise really, They’ve had a new franchise launch with their past 2 consoles. In fact, they seem to always be creating something new, despite what the haters ignore. Well, we know about the Miyamoto IP, but the fact that it’s not the exception to the rule is comforting. 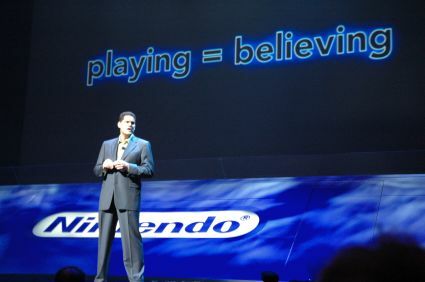 The more i hear from Nintendo, the less i doubt.